Michael, a Preparation for Life (PFL) student at Queen Alexandra College (QAC) has recently successfully completed a work placement at the Quinborne Community Centre. 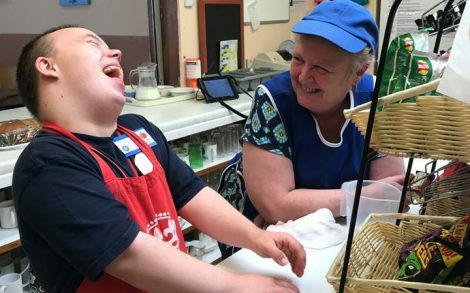 Michael and co-worker Linda chat and laugh while working together at the Quinborne Community Centre. 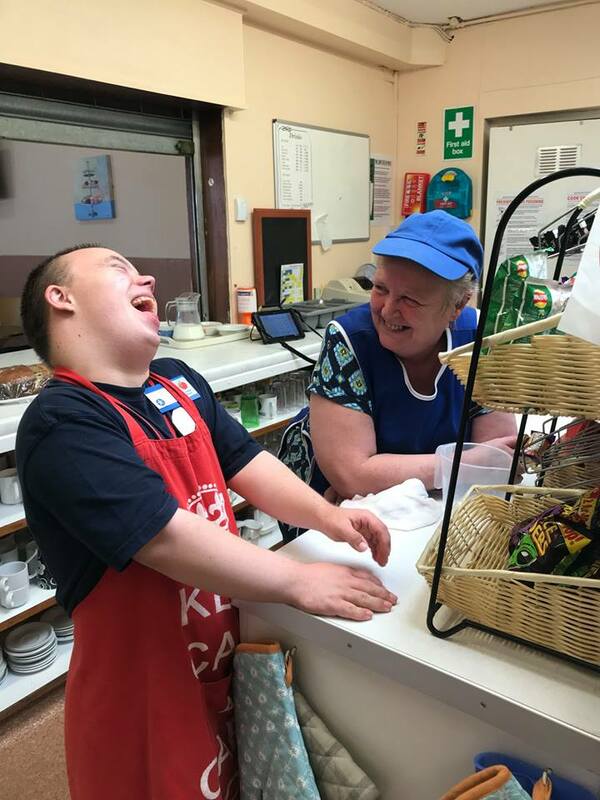 During his placement Michael enjoyed taking orders and serving customers within the café area as well as taking payments at the till point and keeping the kitchen and dining areas tidy. Michael was polite and friendly to customers and staff at all times and was able to follow instructions and complete some tasks independently. Following his placement, staff at the Quinborne Community Centre were so impressed with Michael they presented him with a volunteers certificate which he was very pleased to receive! Michael’s College programme has provided him with the opportunity to develop the skills that he needs to participate within the local community and the workplace, increasing his confidence and self-esteem.